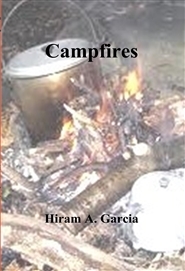 The Boy Scouts who made up Troop 249 during my interim are now grown and probably have grown children and even grandchildren of their own. Time passes, but memories linger, and I am sure that their Troop 249 days are as much at the front of their memories as mine are. 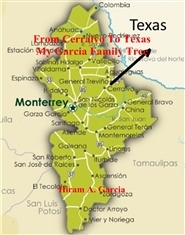 From Cerralvo To Texas - My Garcia Family Tree is the straight line descendancy of Felipe Garcia to the great-grandchildren of my generation, a span of 10 generations. 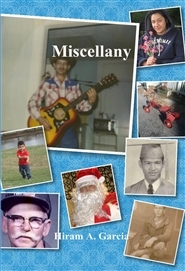 “Miscellany” is a collection of fifty short stories and vignettes of random memories of people, places, and things. Most are humorous, a few are serious, some are rants and raves, and others are just plain embellishments for entertainment value. 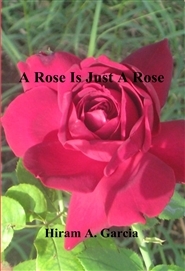 But all are based on true experiences. 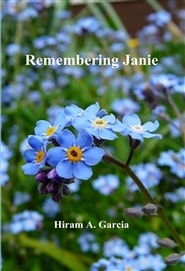 “Remembering Janie” is about some of the most memorable moments that Juanita (Janie) Gomez Garcia left behind for me. 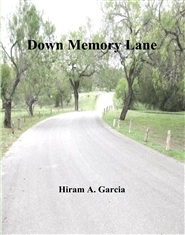 It is a book of short stories that tell how we met, married, and lived together for nearly nineteen years. 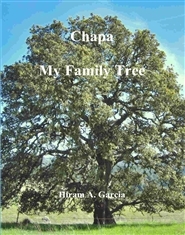 It is a book about her life and how she lived it to the fullest.